Contact Us Now or Call 231-881-9770! Dedicated to Helping People Become and Stay More Active and Mobile, Live Free From Painkillers, Avoid Surgery and Enjoy All that Northern Michigan Has to Offer! Get better, faster and enjoy all the northern Michigan has to offer! Optimum DPT is a direct care, advanced practice, orthopaedic & sports medicine physical therapy clinic with Osteopractic & Fellowship-trained Doctors of Physical Therapy. Based out of the beautiful city of Petoskey, Michigan between the coastal resort communities of Harbor Springs and Charlevoix, we are humbled and honored to serve all of Northern Michigan by providing the very best musculoskeletal care for everything from headaches to turf-toe. Optimum DPT is proud to provide the best evidence based manual therapy in the region, with hands-on care delivered by the only Fellow of the American Academy of Orthopaedic Manual Physical Therapy in Northern Michigan; the only Fellow of the American Academy of Manipulative Therapy in the Northern Michigan; and the only licensed Osteopractor in Northern Michigan. Whether massage, instrument assisted soft tissue therapy, joint mobilizations, spinal manipulations or dry needling-- you are in the best hands. We are also the only clinic in the northern half of Michigan certified to provide Personalized Blood Flow Restriction Rehabilitation and Training. 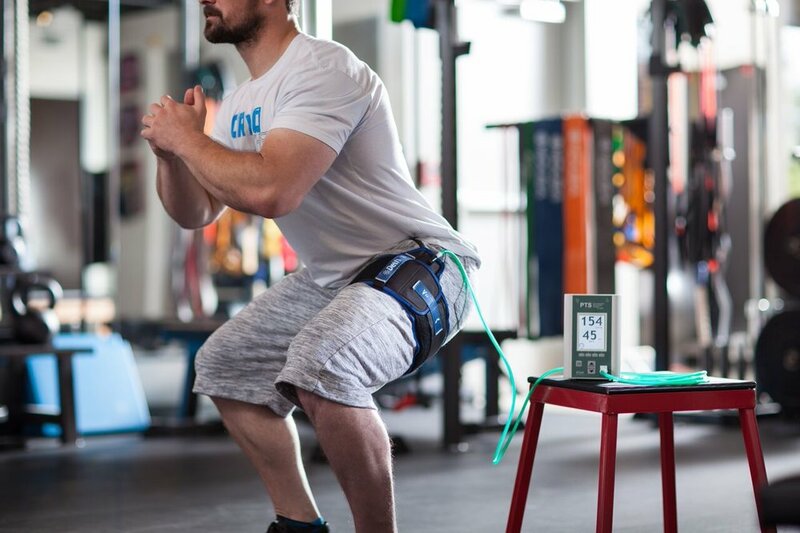 Blood Flow Restriction Rehabilitation is perfect for those frail, injured or recovering from surgery to rapidly get stronger, gain endurance and “put on” muscle without the stress and strain of traditional exercise / loading on the body. Likewise, for those seeking optimum performance Blood Flow Restriction Training is a “bio hack” allowing for strength and hypertrophy gains in 1/3 of the time of normal high intensity training without any of the micro trauma from heavy lifting. Optimum DPT also offers vestibular rehabilitation for those suffering from vertigo, dizziness or loss of balance— from canalith repositioning maneuvers for benign positional proximal vertigo (BPPV), to gaze stabilization exercise prescription for vestibular hypofunction, to Anodyne / MIRE light therapy for neuropathies--physical therapy can vastly decrease your risk for falls, keeping you mobile and independent. Our physical therapy practice is also well versed in the evaluation and treatment of persistent (or chronic) pain. The body heals with time, but sometimes pain lingers. In these cases knowledge is power, and understanding the underlying anatomy, physiology and mechanisms of persistent pain is the first step in a recovery plan that may involve breathing exercises, mindfulness, graded imagery, lateralization exercises and graded exposure physical therapy. With the best elements of conservative rehabilitative care offered under one roof and our unique direct care physical therapy practice (concierge physical therapy at a very affordable price) we are confident that Optimum DPT will get you better, faster and be your first and last stop for your musculoskeletal rehabilitative care! Explore our practice’s site to learn more. Do not hesitate to contact the Optimum DPT Petoskey office at 231-881-9770 with any questions you might have, or if you would like to schedule an appointment today. Our office is located at 2810 Charlevoix Avenue, Suite 105, Petoskey, MI 49770. We look forward to seeing you! Click to Talk To an Expert or Inquire About an Appointment Today!